You must surrender whatever preconceptions you have about music if you’re really interested in it. The quality of life, values that go down to doin’ that, that’s the issue. I understand about the relative strengths of people, and I don’t think people have to be anything. They can be nothin’ if they want to be. I discovered very early that it wasn’t quite enough for me to imitate people. Cecil Percival Taylor was born in Long Island city, New York. He is an American pianist and poet. His piano technique has been likened to percussion, for example described as "eighty-eight tuned drums". He has also been described as "like Art Tatum with contemporary-classical leanings". He began playing piano at age six and studied at the New York College of Music and New England Conservatory. Taylor's first recording, Jazz Advance, featured Lacy and was released in 1956. Taylor is a poet, citing Robert Duncan, Charles Olson and Amiri Baraka as major influences. He often integrates his poems into his musical performances, and they frequently appear in the liner notes of his albums. 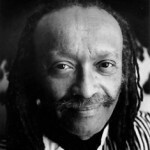 The CD Chinampas, released by Leo Records in 1987, is a recording of Taylor reciting several of his poems, accompanying himself on percussion.